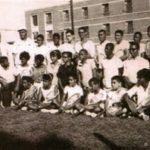 The following photographs are depict candid moments of ATA regulars. If you would like to add your personal photos, use our contact page and send them (and as many details as you can provide) to me. 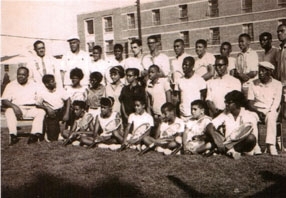 The photo to the right is a group photo taken during the ATA National Championships at Central State University, Wilberforce, Ohio in 1958. 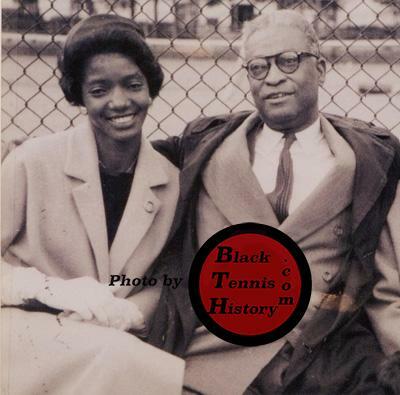 Bobby Johnson, Dr. Walter Johnson’s son, was young Arthur Ashe’s primary tennis coach. 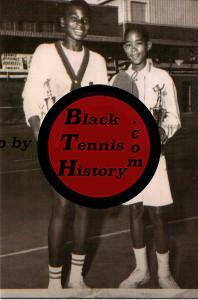 Johnny Chandler and Harold “Schoolboy” Mitchell at the 1949 ATA Nationals. 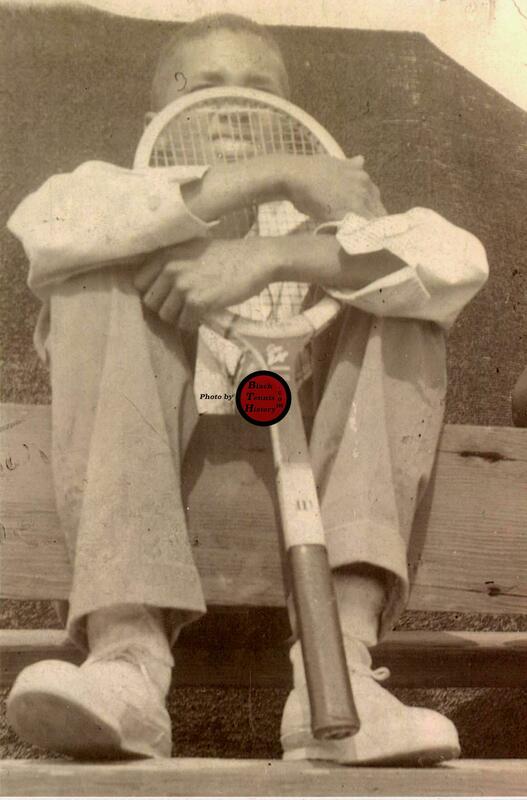 The match was never completed. 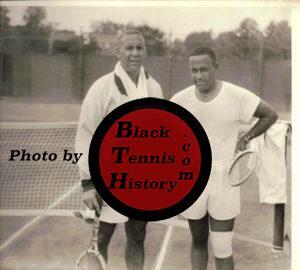 Lendward Simpson and Donald Ringgold at the ATA Nationals in 1962. 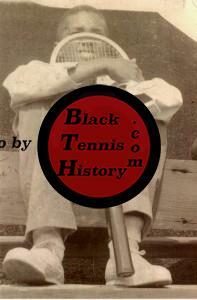 Lendward went on to be elected into the USTA Southern Tennis Hall of Fame on January 29, 2011. 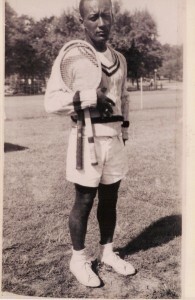 Babe Jones was a longtime ATA competitor from Baltimore, MD. Arthur Ashe at the age of 10 in 1953. Who could have known that he would become one of the most beloved tennis players that the game ever knew? 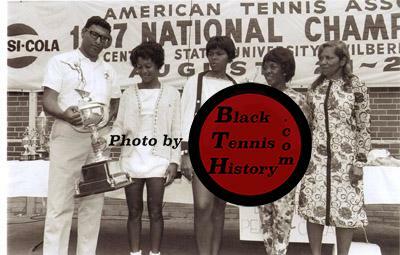 Bonnie Logan, winner of the 1967 ATA Women’s Singles title is congratulated by finalist Sylvia Hooks and tournament administrators. 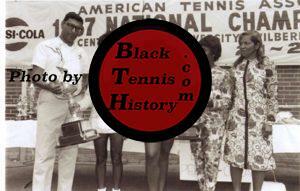 This event was held at Central State University in Wilberforce, OH. 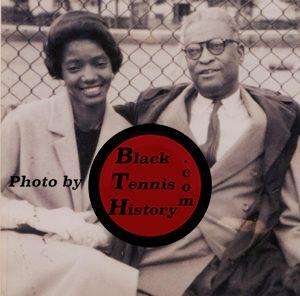 Arvelia Myers, President and Founder of the Pyramid Tennis Club in New York seated with Mr. Clifford Blackman, Treasurer of the American Tennis Association. 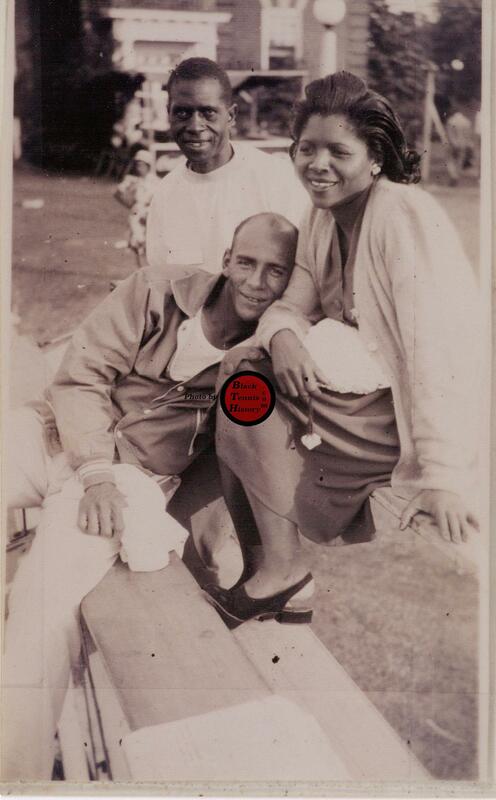 The photo to your right is more than 70 years old. At least three Hall of Famers are represented. 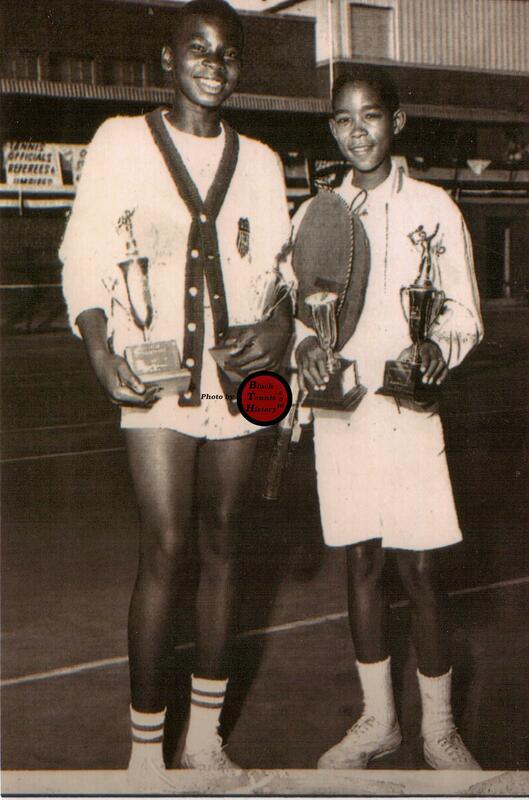 At the very left, Hall of Fame inductee Billy Davis at the age of 10. 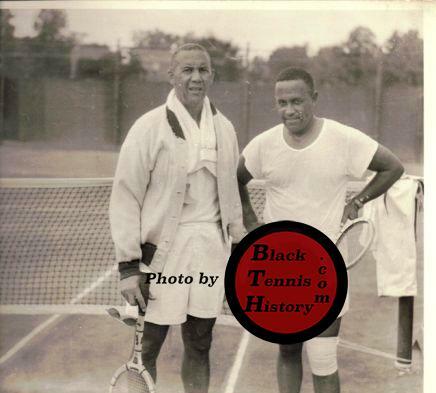 Standing next to him is legendary Hall of Famer Jimmie McDaniel and to the right, Hall of Famer Dr. Reginald Weir. 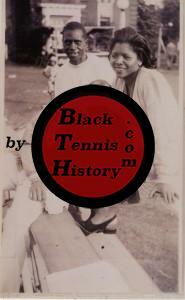 This photo was taken at the Cosmopolitan Tennis club in Harlem, New York. Notice how close to the courts are the buildings in the background. 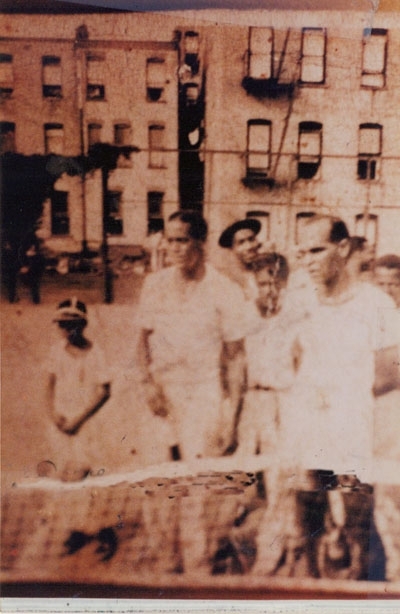 People could often be seen watching matches from their windows.